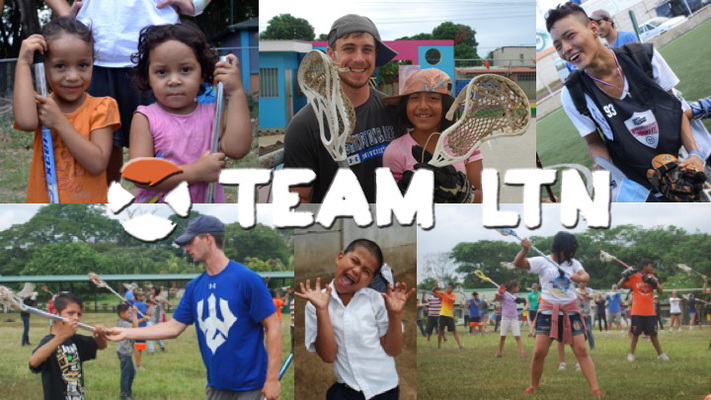 Team LtN is a network of lacrosse teams and individuals across the US who come together to help spread awareness and raise funds for our programs in Nicaragua, Panama and the U.S.
Will you join Team LtN and help us use the power of lacrosse to bring education, opportunity and hope to kids in need? Together we can overcome poverty through sports, education, health and nutrition. Good luck Maria....you have a wonderful experience on the horizon! Best wishes and keep us posted on your adventure! When Meaghan taught lacrosse to the children in Nicaragua, they were very receptive and eager to learn. We hope the program continues to grow and make so many children happy. Panama just gained a wonderful ambassador in Maria McDonough!! Awesome opportunity for the lax players and the kids! Good Luck George ! Go Generals! Kaitlyn, you are amazing! This project will have a lasting impact on so many lives. Thank you for being the change you wish to see in the world. Thank you for all of your hard work on behalf of these children. Go, Tigers!